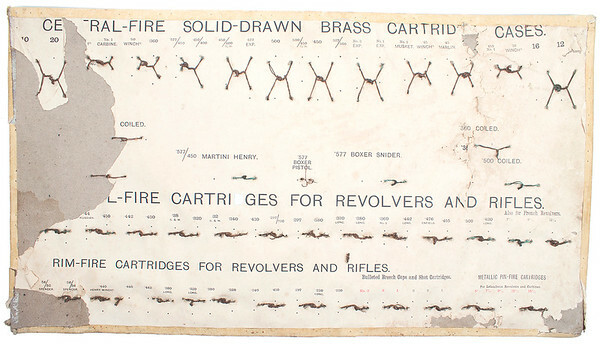 I recently picked up an early Eley Cartridge Board with all 5 pinfire pistol cartridge sizes on it. 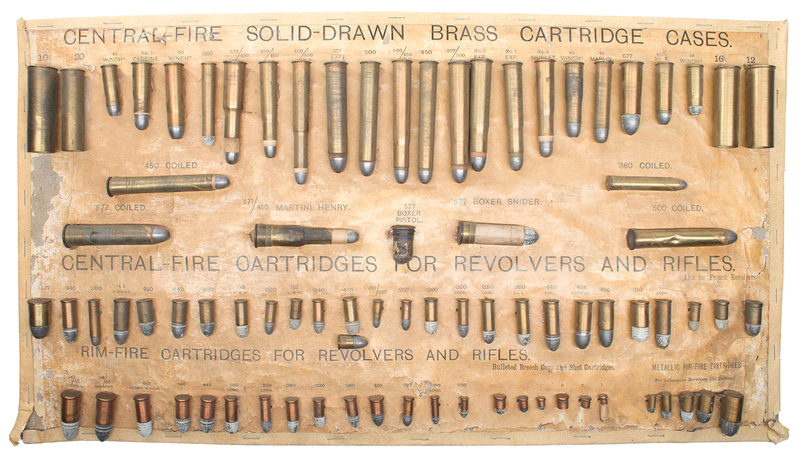 Some of the other notable cartridge on it are the .44 Henry rimfire and the Spencer rimfires as well as the .577 Tranter cartridges. 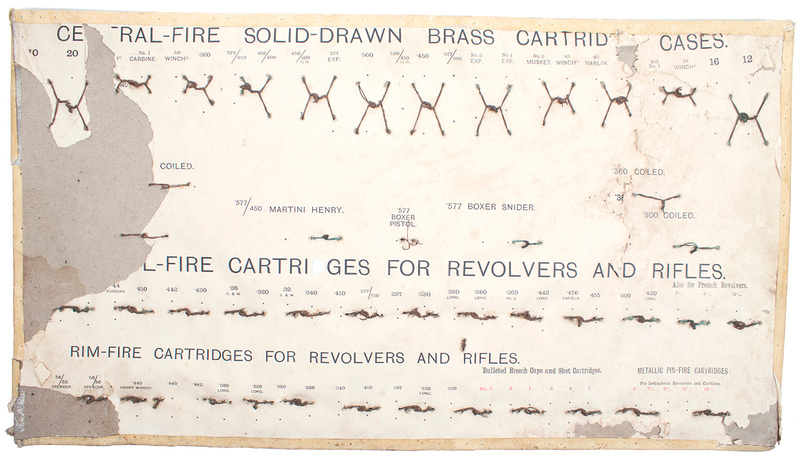 This cartridge board dates to around 1886 based on the date the .45 Marlin first showed up in Eley catalogs and price lists. It would’ve been in a frame with the company’s name printed in it too. Here is a picture of the back which interestingly also has the printed image. 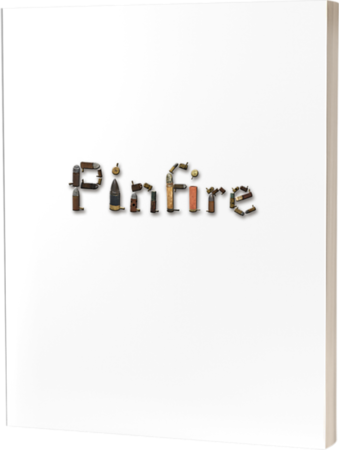 I am not sure of the reasoning behind this and it is a mirror image of the front so the words do not match up with where the cartridges are in the front.